CppCon 2015's sessions, panels, and lightning talks were professionally recorded and will be available online worldwide for free in about a month. As you probably saw already on this site, the team made a special effort to post the big five talks early -- the three keynotes and two other daily plenary sessions are all available online now. To try to make the videos as widely available as possible, like last year the videos are being posted on two different sites: YouTube and Channel 9. Feel free to use whichever works best in your country. Again, the rest of the talk videos will take about a month to post. The slides will also be available soon and you will be able to find them at github.com/cppcon/cppcon2015. Enjoy! CppCon 2015's inspiring endnote video is now available below. This is last of the rush-processed plenary sessions posted quickly (see the Video feed for the others). Of course, there'll be more: Like last year, all the sessions, panels, and lightning talks were professionally recorded and will be available online worldwide for free, but processing well over 100 videos is a lot of work and it will take about a month before they can be available; your patience is appreciated. Range-based interfaces are functional and composable, and lead to code that is correct by construction. With concepts and ranges coming to the STL, big changes are in store for the Standard Library and for the style of idiomatic C++. The effort to redefine the Standard Library is picking up pace. Come hear about one potential future of the STL from one of the key people driving the change. I've been doing C++ professionally for the past 20 years, first for Microsoft, then as an independent consultant. Right now, I'm working on bringing the power of "concepts" and "ranges" to the Standard Library with the generous help of the Standard C++ Foundation. Ask me about the future of the Standard Library, or about range-v3, my reference implementation for C++11. 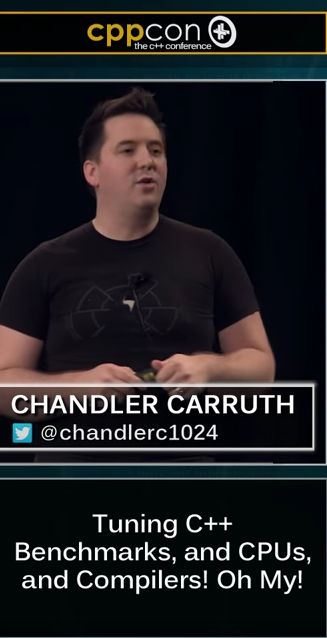 C handler's talk about benchmarking, cheating the compiler's optimizer and optimizing code from the recent CppCon is online. A primary use case for C++ is low latency, low overhead, high performance code. But C++ does not give you these things for free, it gives you the tools to control these things and achieve them where needed. How do you realize this potential of the language? How do you tune your C++ code and achieve the necessary performance metrics? This talk will walk through the process of tuning C++ code from benchmarking to performance analysis. It will focus on small scale performance problems ranging from loop kernels to data structures and algorithms. It will show you how to write benchmarks that effectively measure different aspects of performance even in the face of advanced compiler optimizations and bedeviling modern CPUs. It will also show how to analyze the performance of your benchmark, understand its behavior as well as the CPUs behavior, and use a wide array of tools available to isolate and pinpoint performance problems. The tools and some processor details will be Linux and x86 specific, but the techniques and concepts should be broadly applicable. This is another call to all C++ programmers, it is time to change! The 42nd episode is here with a special guest: Bjarne Stroustrup is joining us from CppCon to share more about his historic CppCon keynote this week. His focus is on how we can all write good C++14 code. The standard library containers are often both misused and underused. Instead of creating new containers, applications are often structured with incidental data structures composed of objects referencing other object. This talk looks at some of the ways the standard containers can be better utilized and how creating (or using non-standard library) containers can greatly simplify code. The goal is no incidental data structures. We hope posting these few highlights during and shortly following CppCon can help to let everyone in the worldwide C++ community share in the news and feel a part of the gathering here in the Seattle neighborhood this week. Even if you couldn't be here in person this year to enjoy the full around-the-clock technical program and festival atmosphere, we hope you enjoy this nugget in the video presentation. What is the use of noexcept? CppCon is in full swing, and once again all the sessions, panels, and lightning talks are being professionally recorded and will be available online worldwide for free. Like last year, expect them about a month after the conference ends. This year the team is trying to get a few of the big talks up early while still busily recording the 100+ others still in progress. Yesterday, they posted Bjarne Stroustrup's opening keynote video less than 48 hours after the live talk, and we're pleased to see that as of this writing over 10,000 of you have already enjoyed it online in its first day! 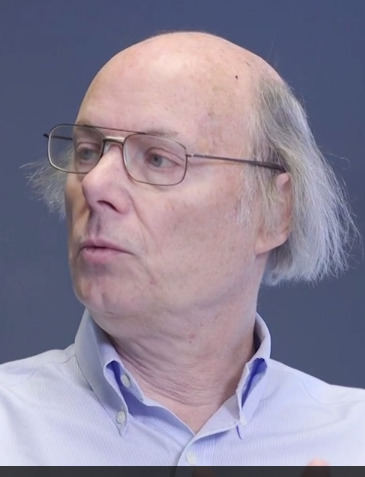 This talk continues from Bjarne Stroustrup’s Monday keynote to describe how the open C++ core guidelines project is the cornerstone of a broader effort to promote modern C++. Using the same cross-platform effort Stroustrup described, this talk shows how to enable programmers write production-quality C++ code that is, among other benefits, type-safe and memory-safe by default -- free of most classes of type errors, bounds errors, and leak/dangling errors -- and still exemplary, efficient, and fully modern C++. We hope posting these few highlights while CppCon is still in progress can help to let everyone in the worldwide C++ community share in the news and feel a part of the gathering here in the Seattle neighborhood this week. Even if you couldn't be here in person this year to enjoy the full around-the-clock technical program and festival atmosphere, we hope you enjoy this nugget in the video presentation.